It was too nice of a day to not go fishing. I grabbed my Suntech GM Suikei Keiryu Special 44 and 3 containers of Mummy Worms and headed down to Marsing Pond for the first time. 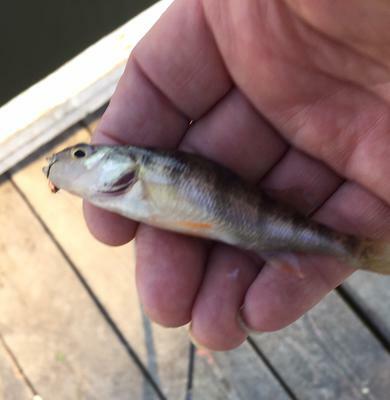 My first fish was a nice Micro fish. I am not sure what it is, but it was way more fun on my 44 than I imagined. As you can see from the picture it was nicely lip hooked. It was a strange day, as I caught only about 10% of the hits that I got. Three fish in about 30 hits, and I used 18 Mummy Worms! The red ones work good too! The purple ones not so well. They hammered the natural ones. I was not fishing alone. I was fishing off one of the docks, and observed other fishermen as I fished. I noticed there were the "cast and soak" folks. They just cast a bait out and let it sit. There were the spin casters that were working really hard to throw their lures as far as possible. Then there was me with my crazy long pole! 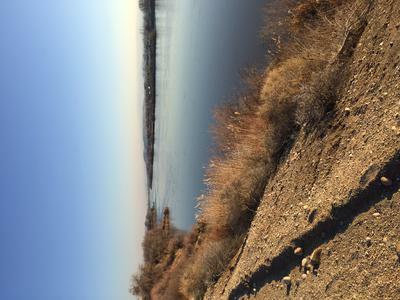 Marsing Pond has an inlet and outlet to the Snake River. Because of the water flow, it isn't iced up. They plant trout in it, and there are other species as well. 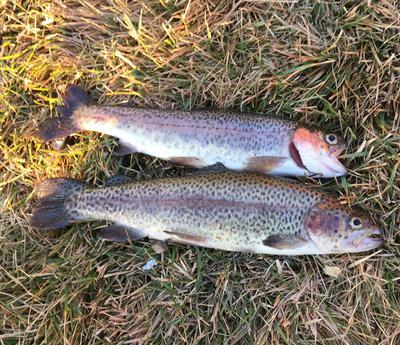 I kept two planters I caught, a 10 and 11 incher. What I love about the Suntech GM Suikei Keiryu Special is I fished it in all three lengths as I worked the water. The nicest fish I caught was at the 40 length. As I enjoyed the self-imposed 2 hour limit of fishing, I observed that I was the only one who caught any fish during the time I was there. One of the "toss and soak" fellows came over and asked many questions about my strange way of fishing. The sun was shining, there was a wisp of a breeze. The ducks were flying over the river. I enjoyed watching a bald eagle fishing along the river. Most of all, I enjoyed the limitations of my fishing equipment. I had to think about where the fish might be in the area available to me. I began searching the depths, and thinking about how the bottom sloped away from the shore. In 20 minutes, I had found three places where I got hits! I began working those targets. I would give those three a rest and explore other likely spots for awhile. Keiryu fishing is engaged and active fishing! I love this kind of fishing. I ended the day by doing some scouting along the Snake River for fishing this summer. Fishing has never been so fun. Next time I am bringing my Suntech Keiryu Sawanobori 63 for added fun! Mummy worms for some ultra light worm fishing. I tried different depths and landed some nice cats. Sounds like we both had a great time.